In January 2013, Sheridan Memorial Hospital became the third hospital in the state of Wyoming to open a cardiac catheterization lab. This facility features two rooms equipped to perform a full range of diagnostic and interventional heart procedures including stent placement, angioplasty (heart attack treatment), thrombectomy (artery clot removal around the heart), and pacemaker and defibrillator device implants. The project involved developing a design within the existing central core of the hospital that utilized the existing infrastructure where it was deemed feasible and integrating new mechanical, electrical, medical gas, plumbing, and fire protection systems to support the new lab. A key part of the construction involved designing systems to permit construction of the new lab while minimizing and limiting the disruption to existing hospital services. 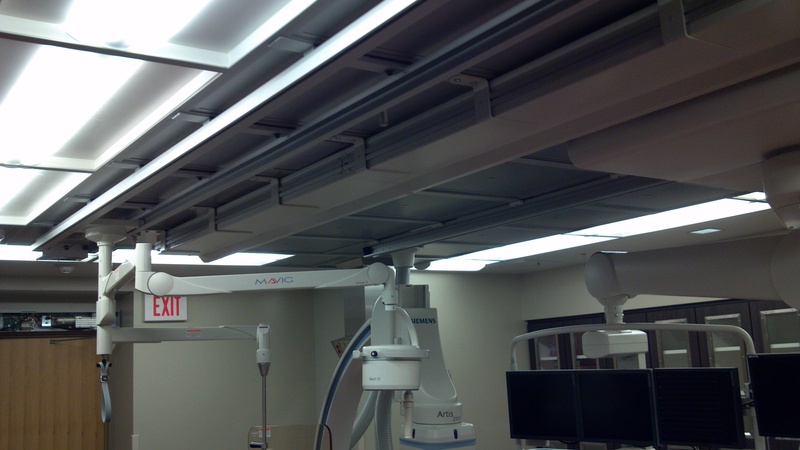 Mechanical systems utilized laboratory airflow valves to maintain healthcare space pressurization standards and a laminar airflow ceiling system to appropriately deliver conditioned air to the operating areas.